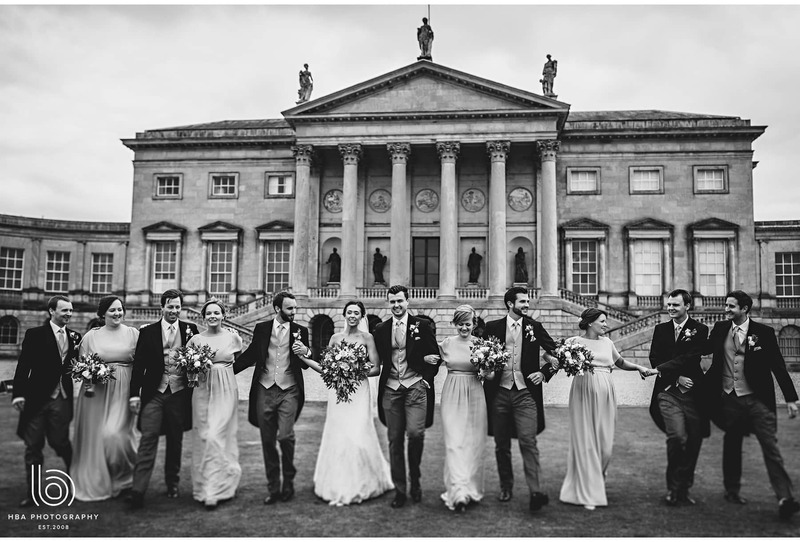 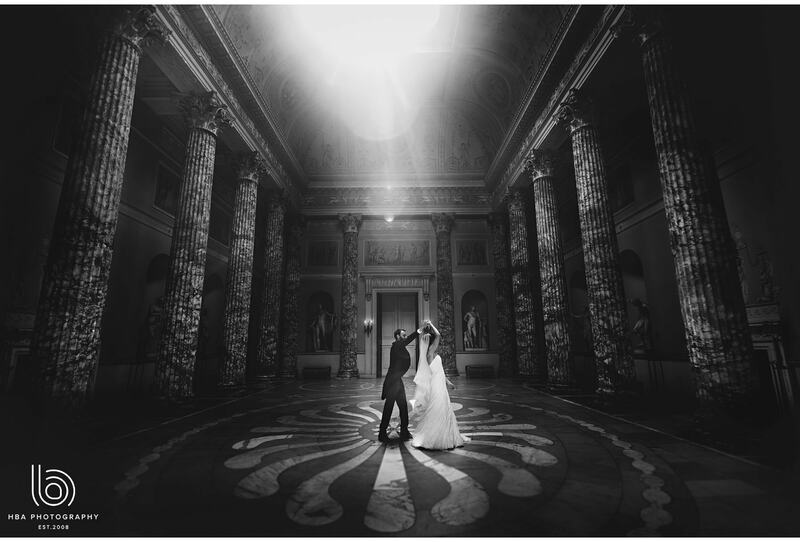 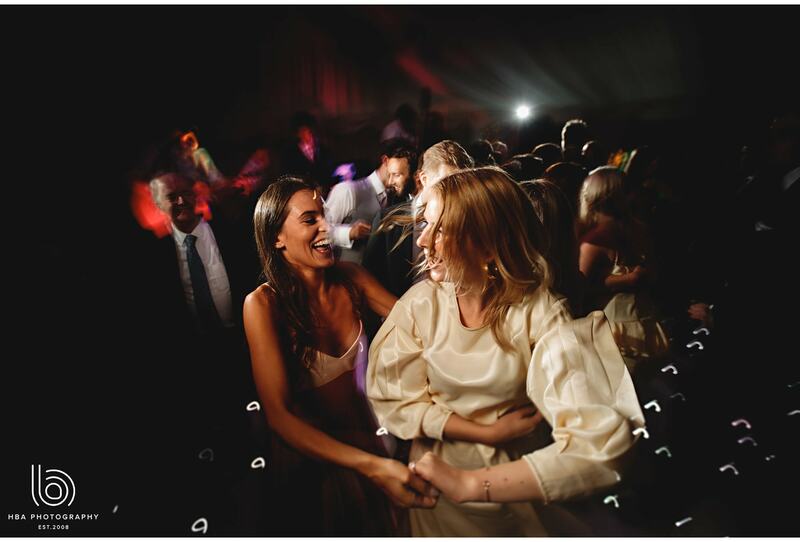 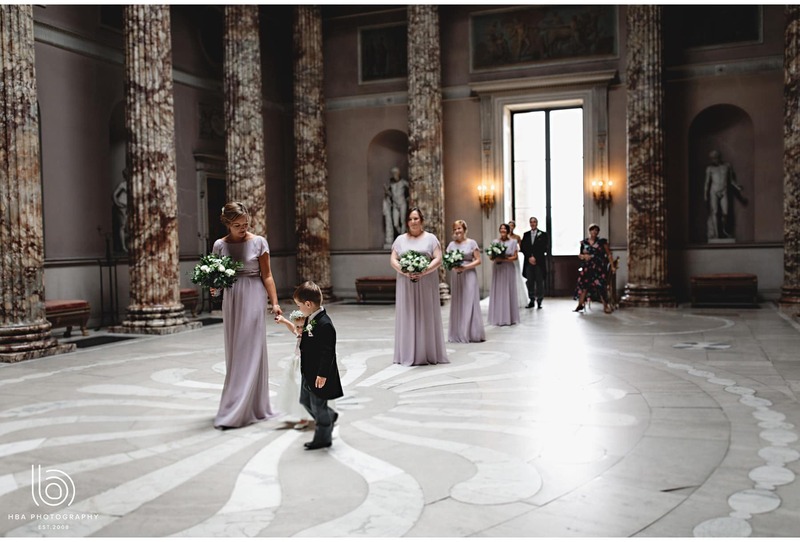 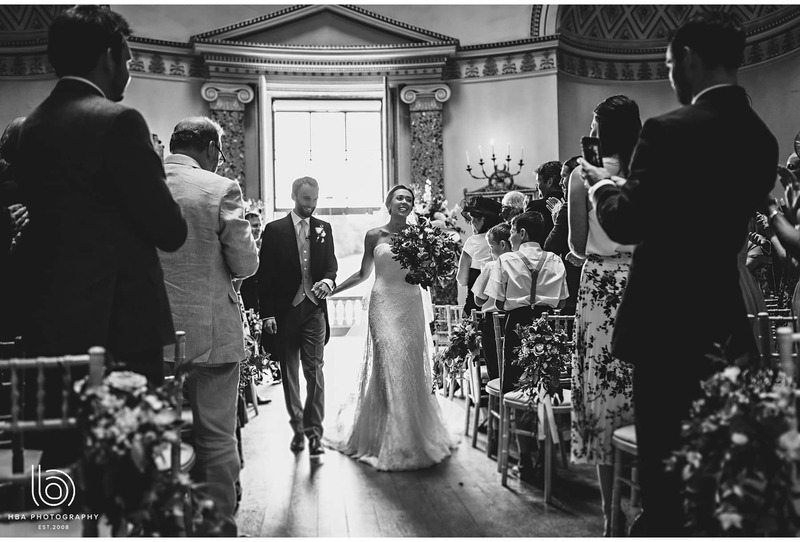 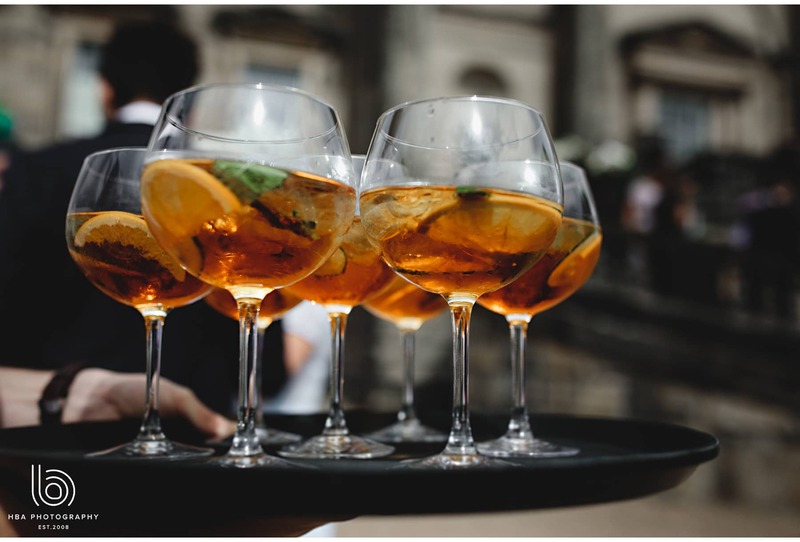 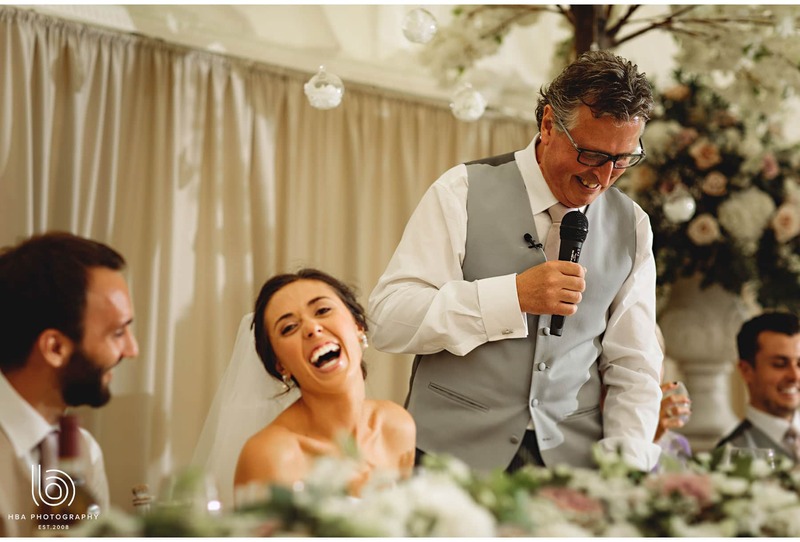 We headed over to the stunning Kedleston Hall this weekend for a wedding filled with fun, laughter, tears, many many flowers, a wandering band, canapés on the lawn, oh yeah, and the amazing Chris and Bliss! 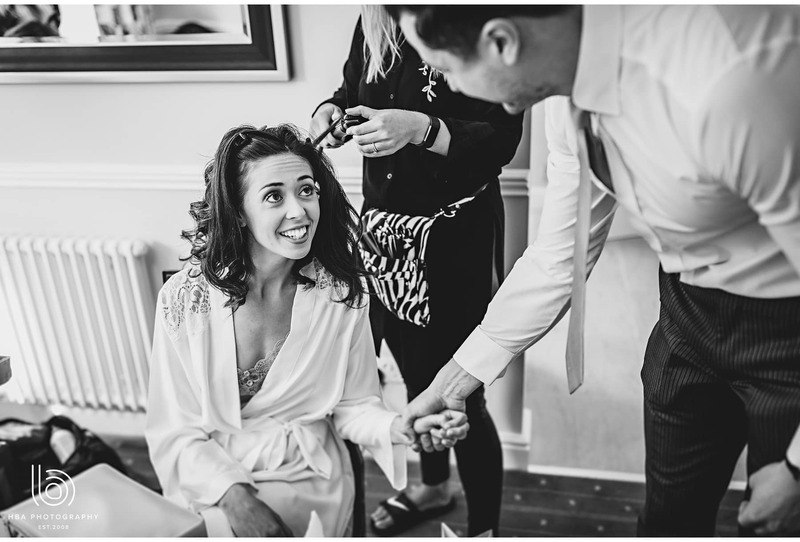 The day started with Bliss having her hair and makeup was done by the fabulous Sophie from Makeup by Jenni and Kayleigh Read Hair, at home in her parent’s house. 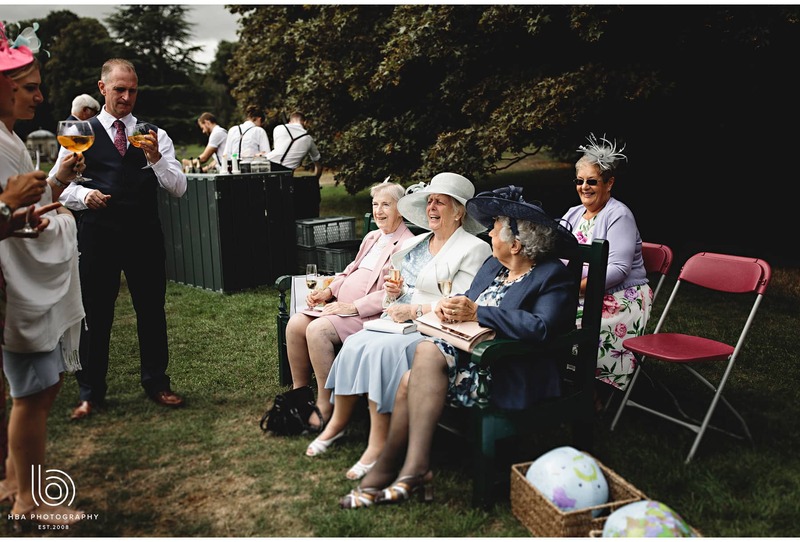 We always like hanging out in the morning, getting to know everyone and feeling the excitement build for the day. 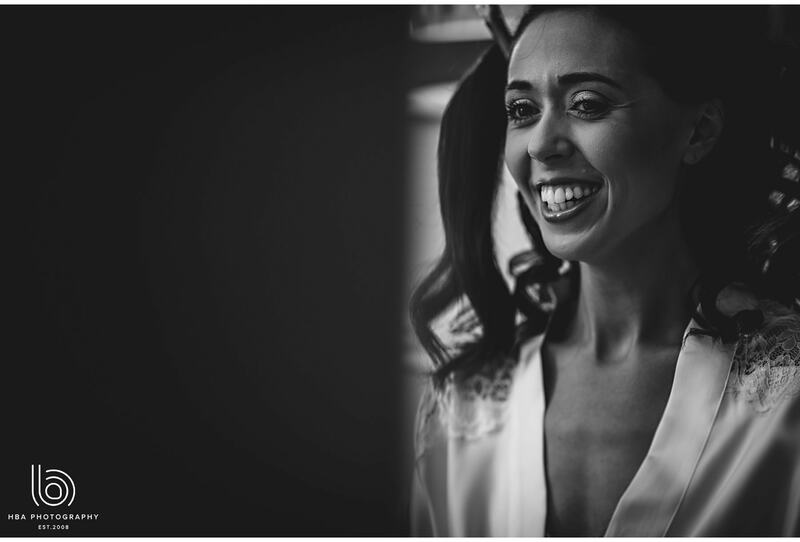 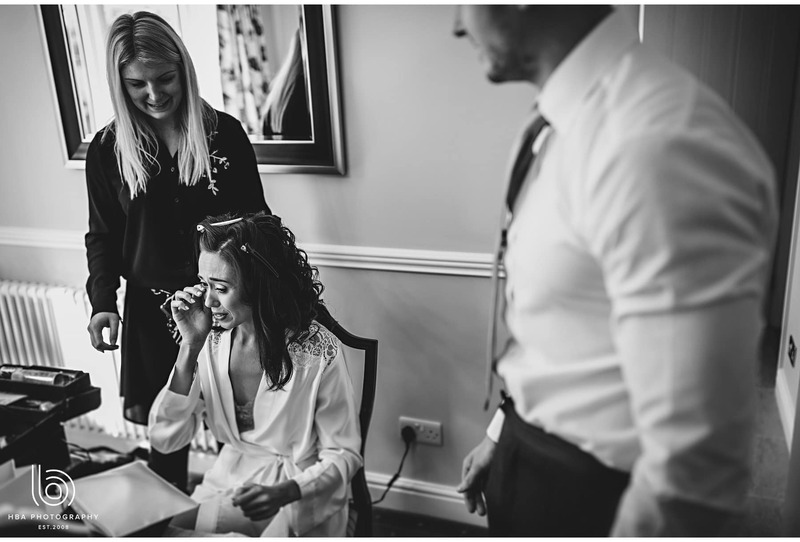 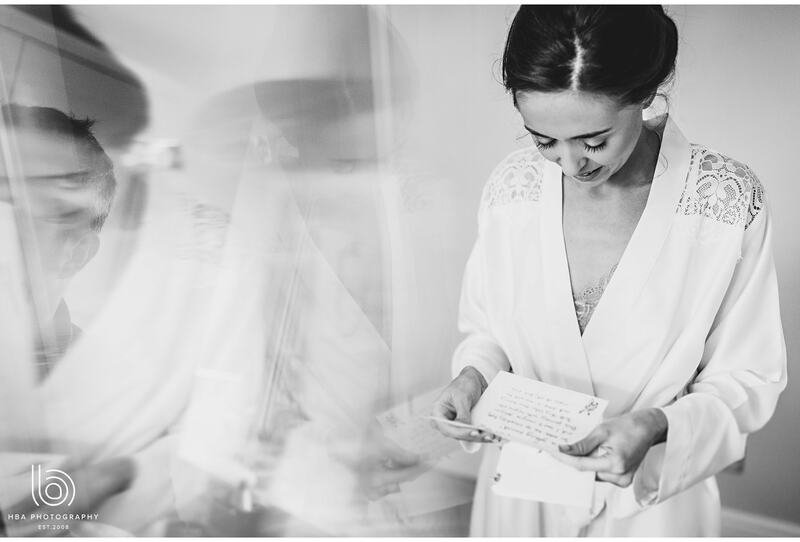 Before we knew it it was time for Bliss to get her dress on and head off to one of the most amazing venues in the area, Kedleston Hall. 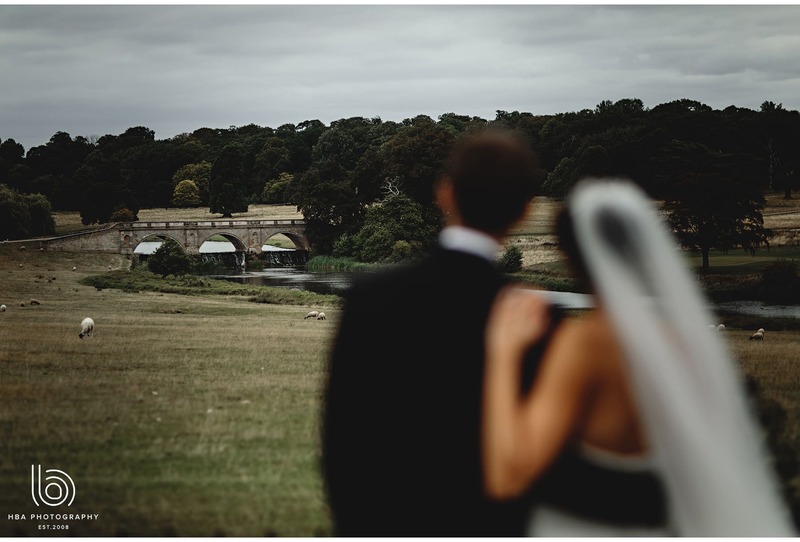 As you drive down the driveway, you catch glimpses of this amazing building through the trees, as you approach and it’s not until you cross the bridge that you fully appreciate how stunning Kedleston Hall is as a wedding venue. 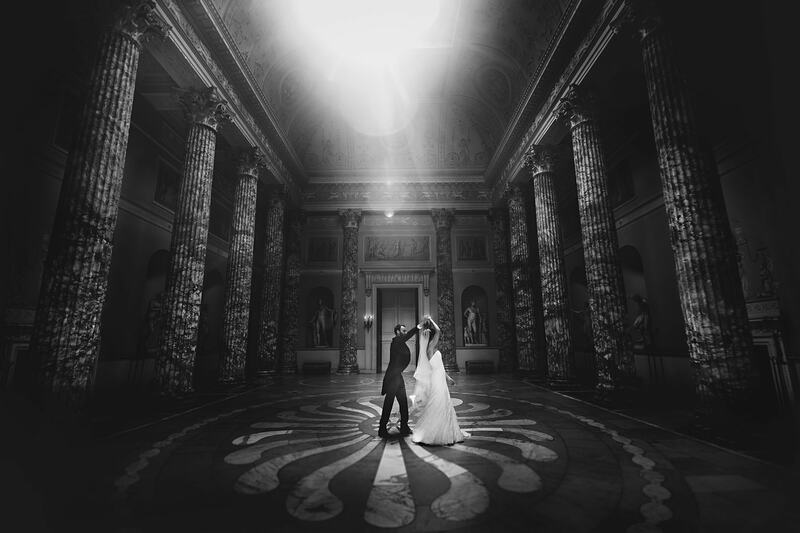 We’d never photographed there before so it was brilliant to see it in all its glory. 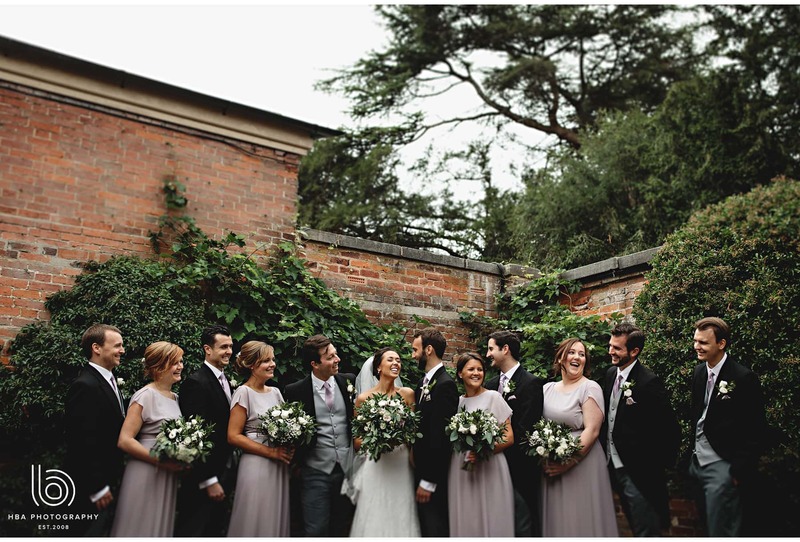 Of course, helped by some incredible flowers and decorations by Laura and Scott at Avant Garden! 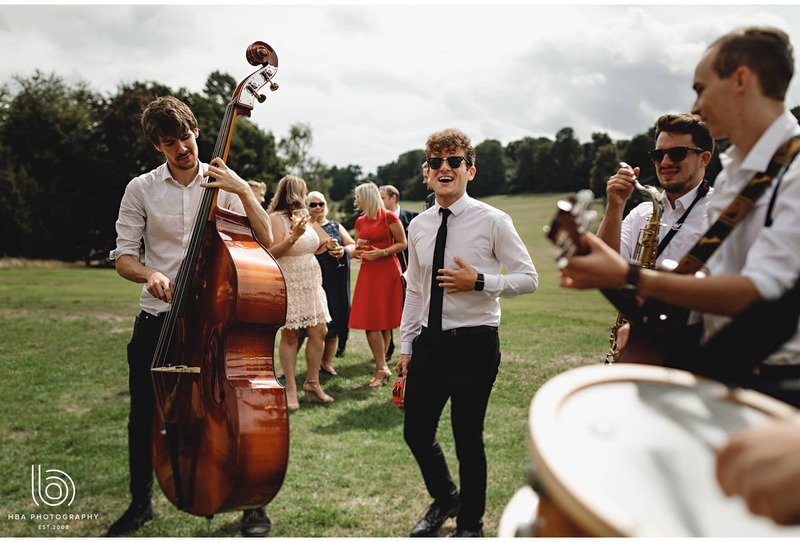 Once the ceremony was finished, we headed out into the sunshine on the lawns where a band wandered around singing and playing to entertain us all while we did some photos before dinner. 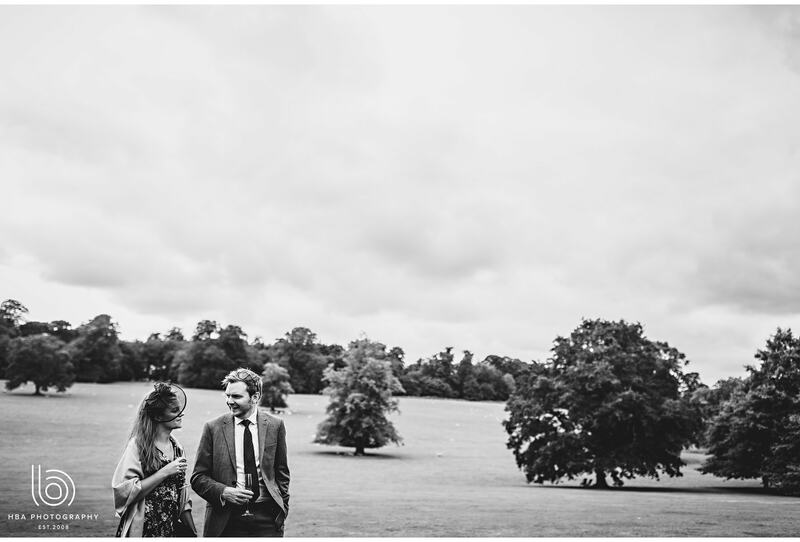 After some hilarious speeches, we decided to take a walk down to the bridge to fully appreciate how stunning the grounds were and it gave Chris and Bliss a bit of a time-out, alone together before the craziness of the party started!! 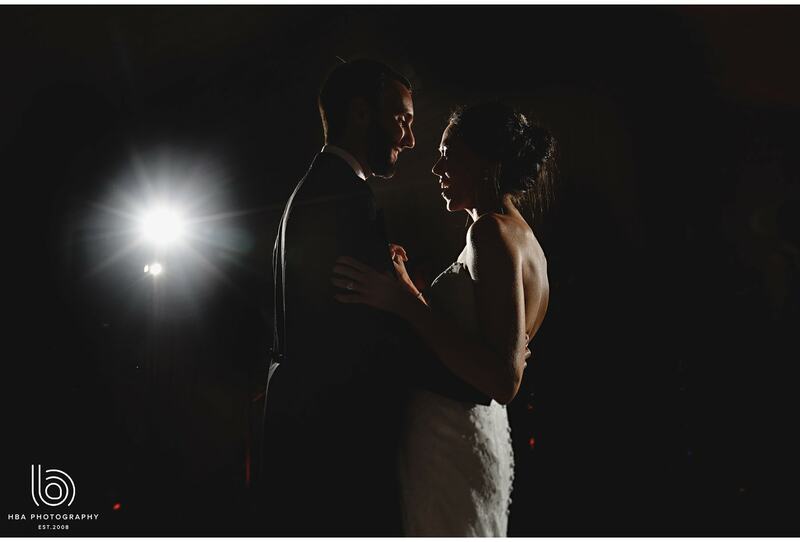 We had such a great time with you guys and LOVED being part of your day! 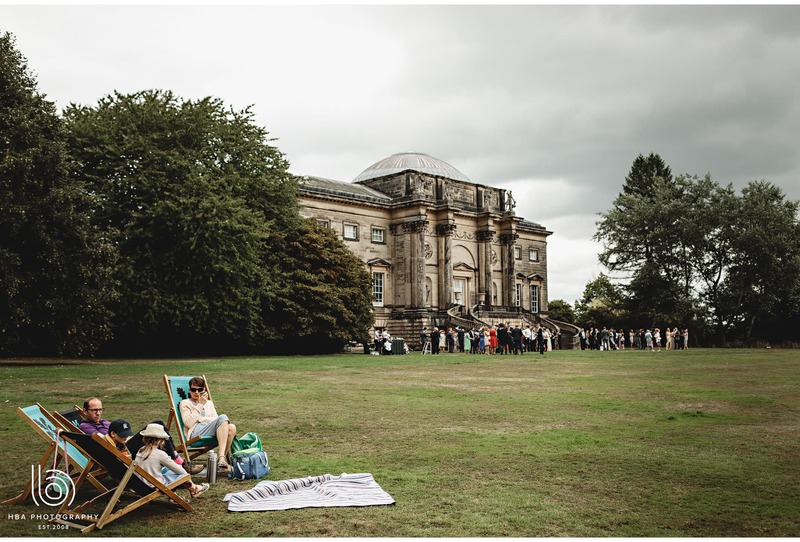 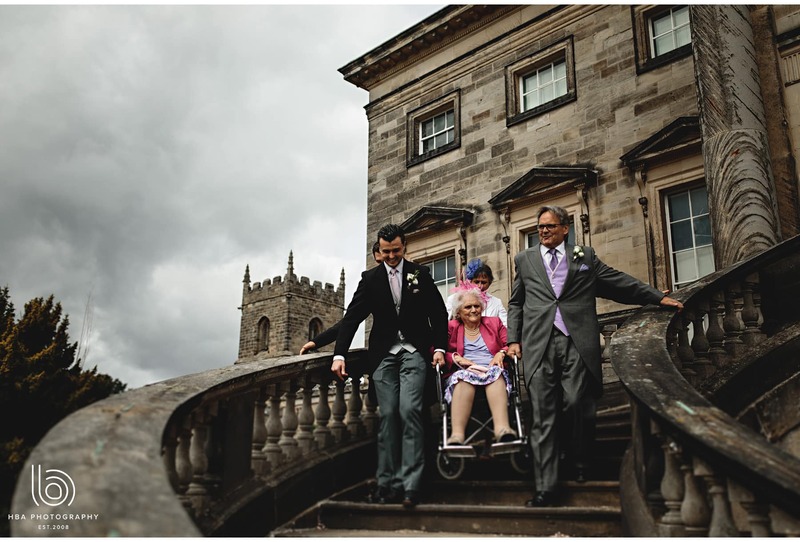 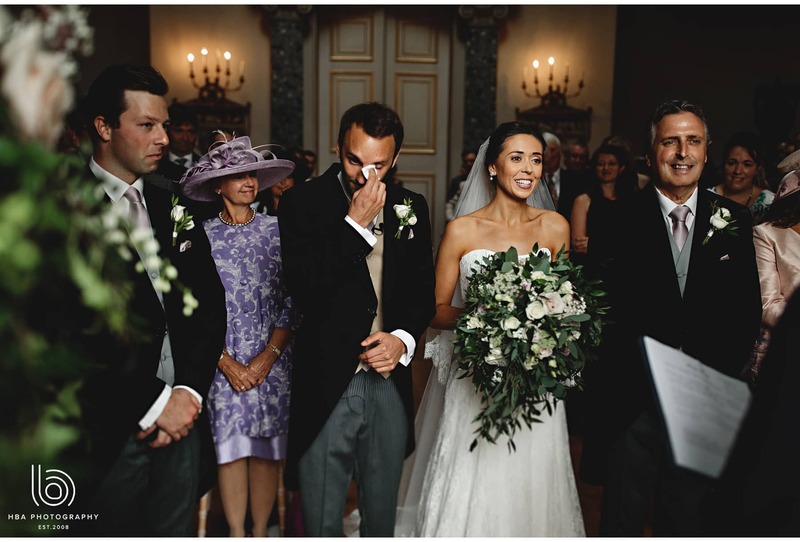 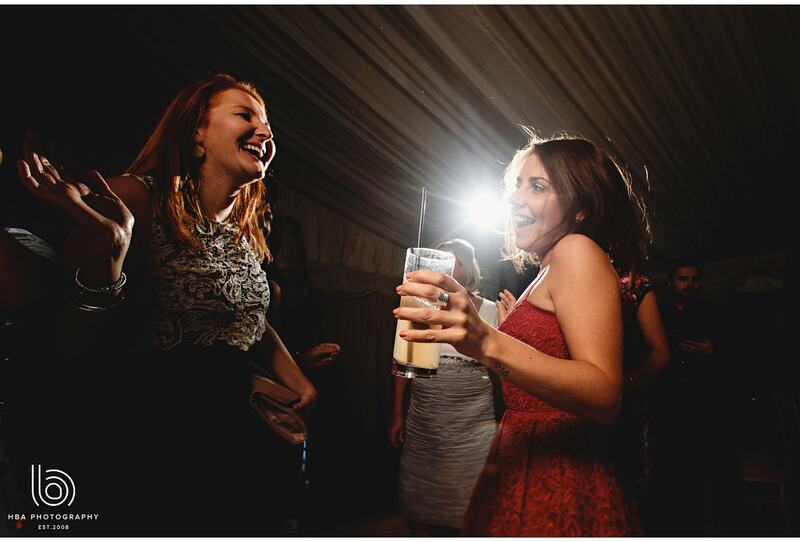 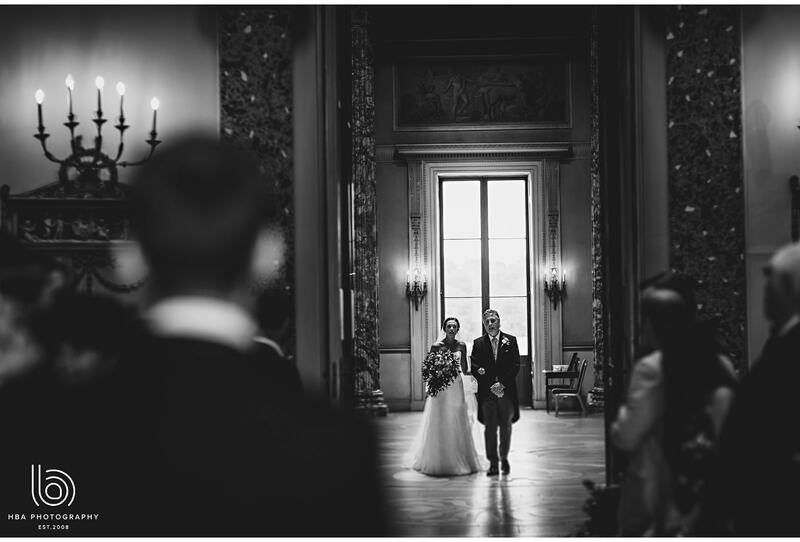 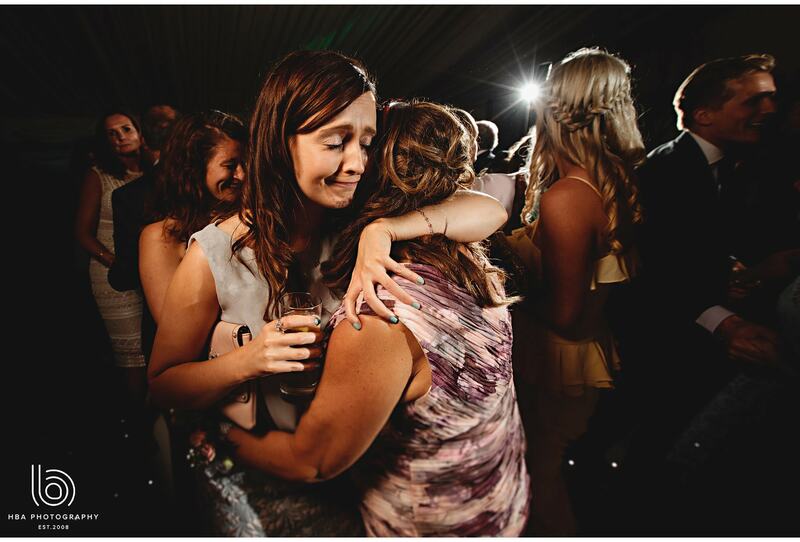 Kedleston Hall wedding photos in Derbyshire. 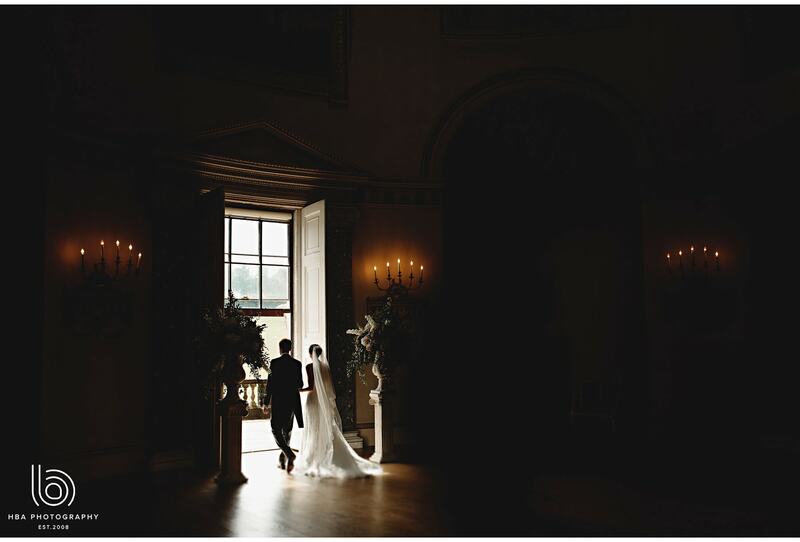 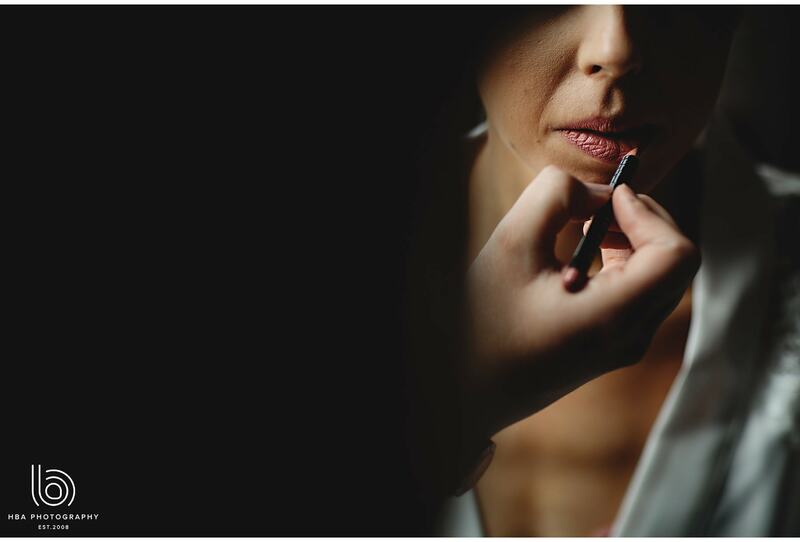 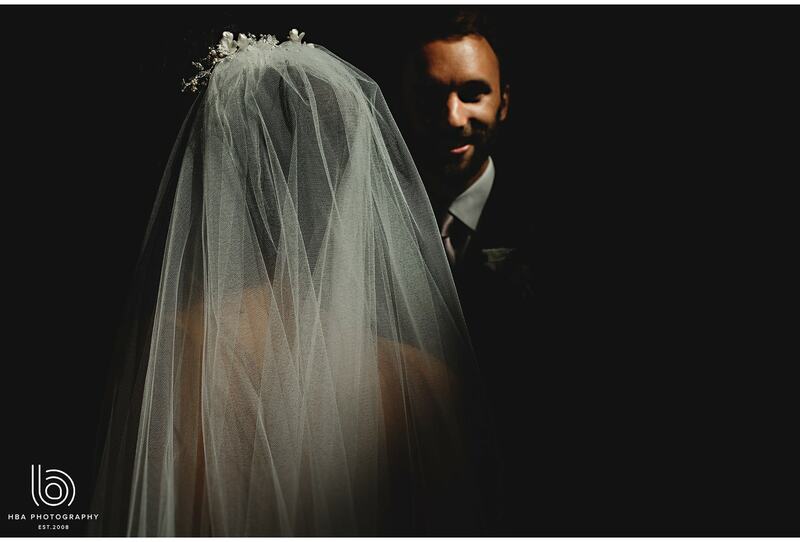 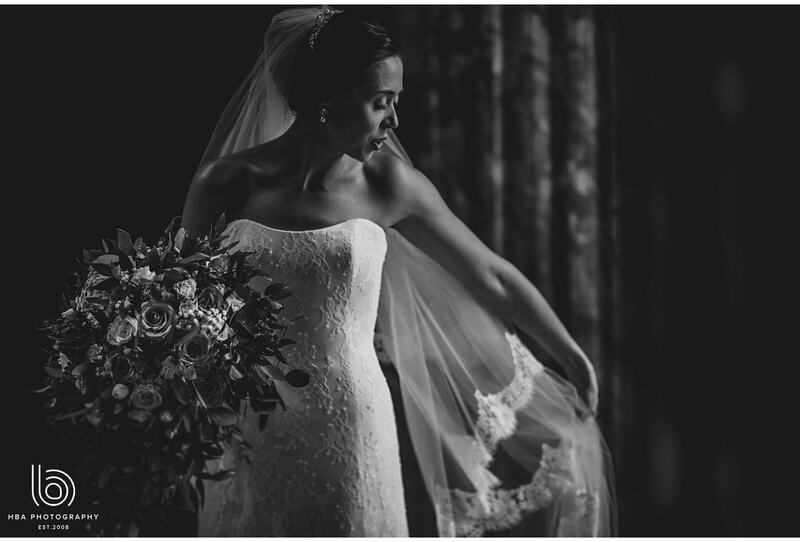 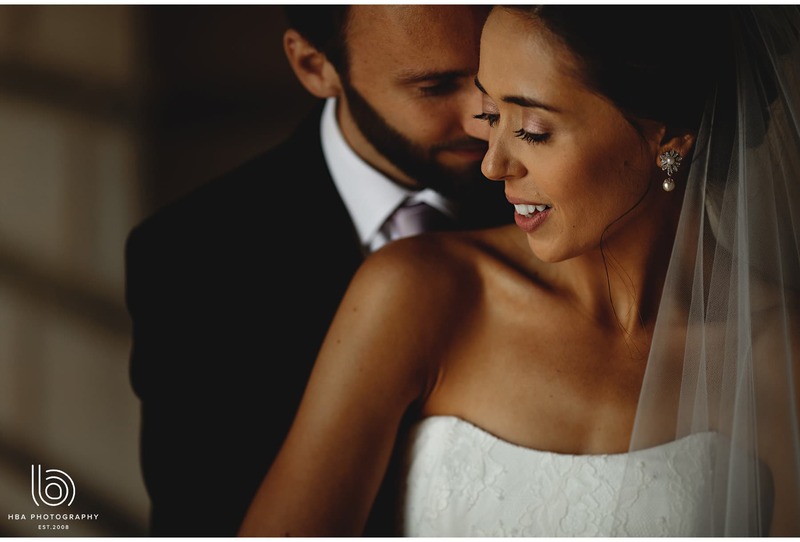 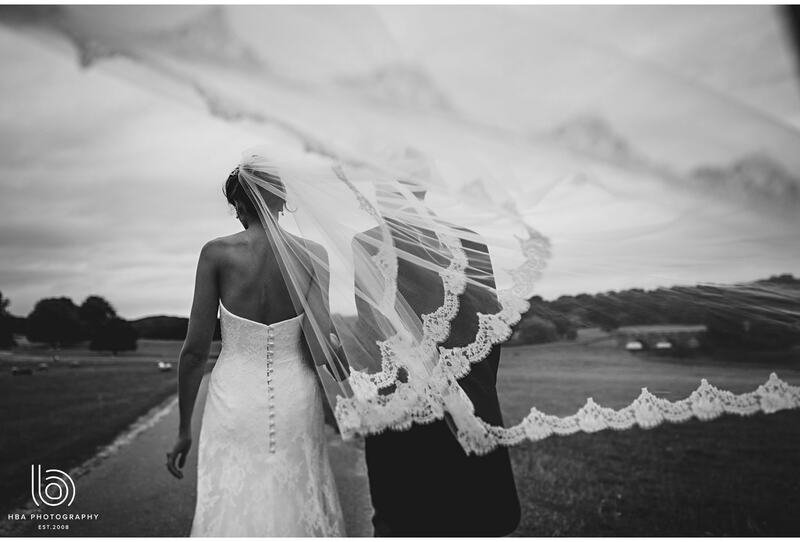 Ben and Hannah are multi-award winning, husband and wife Derbyshire Wedding Photographers. 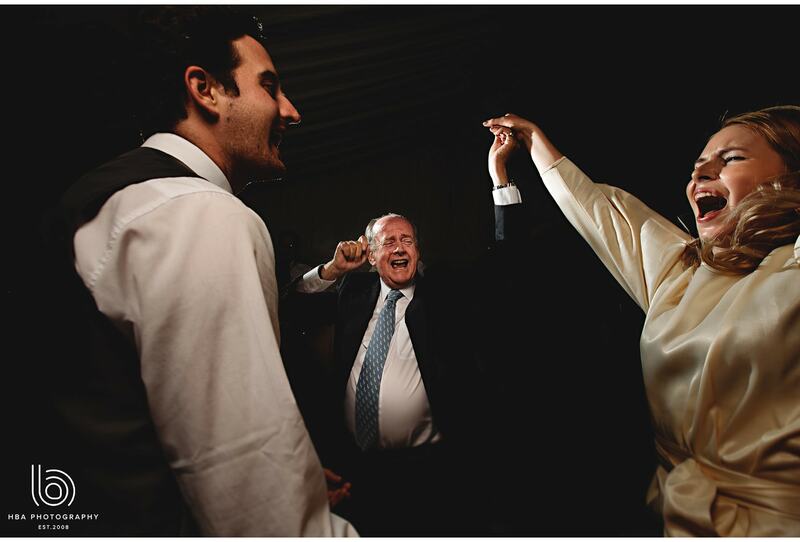 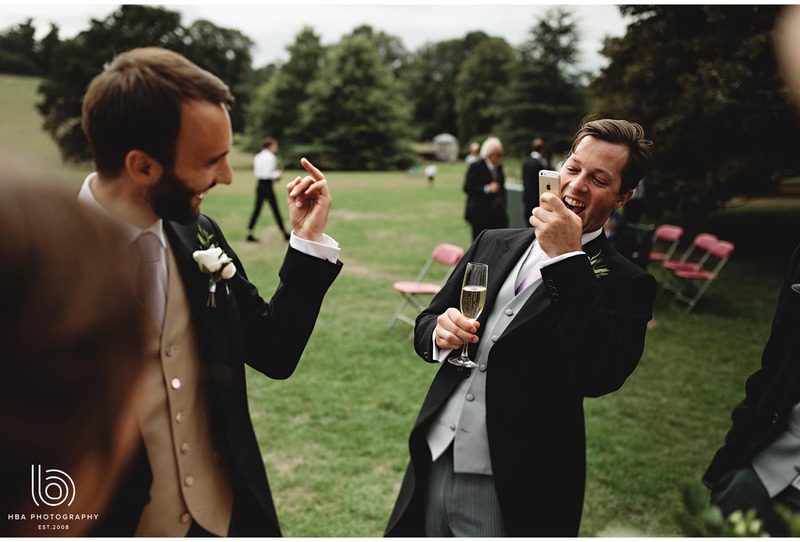 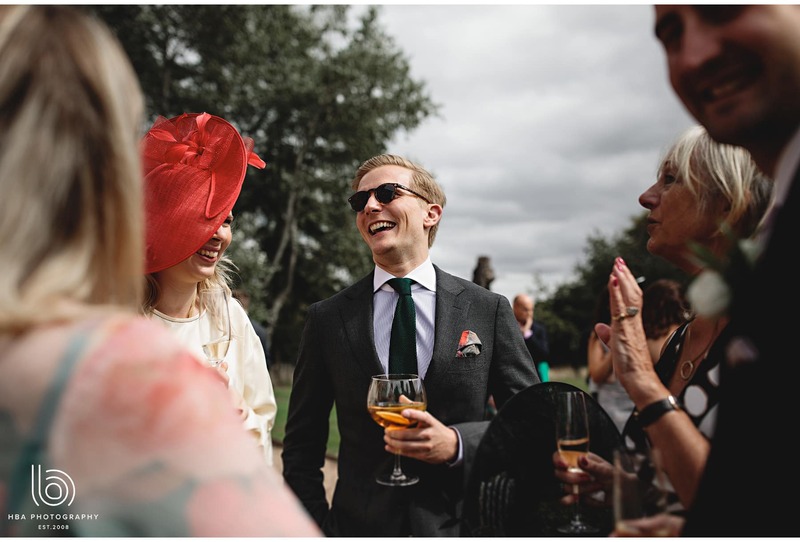 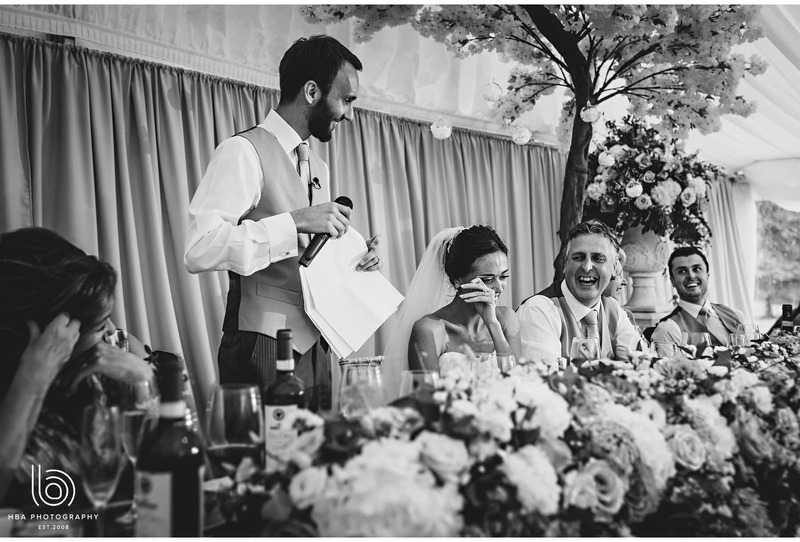 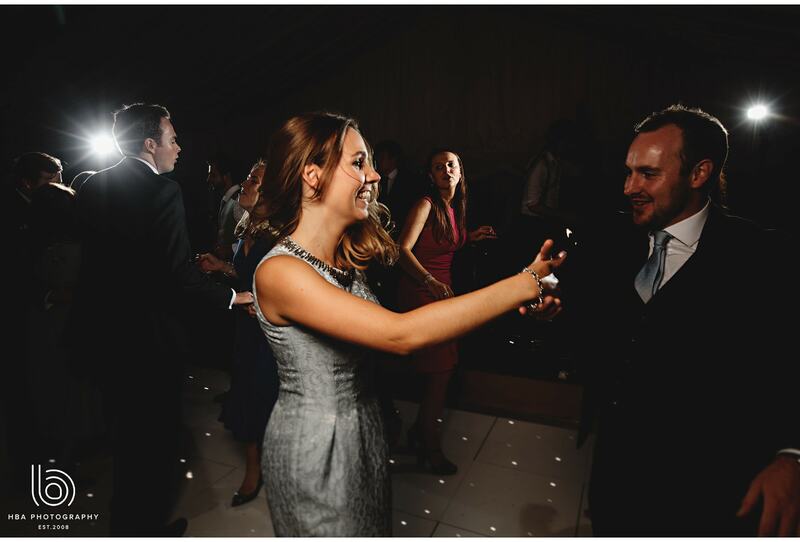 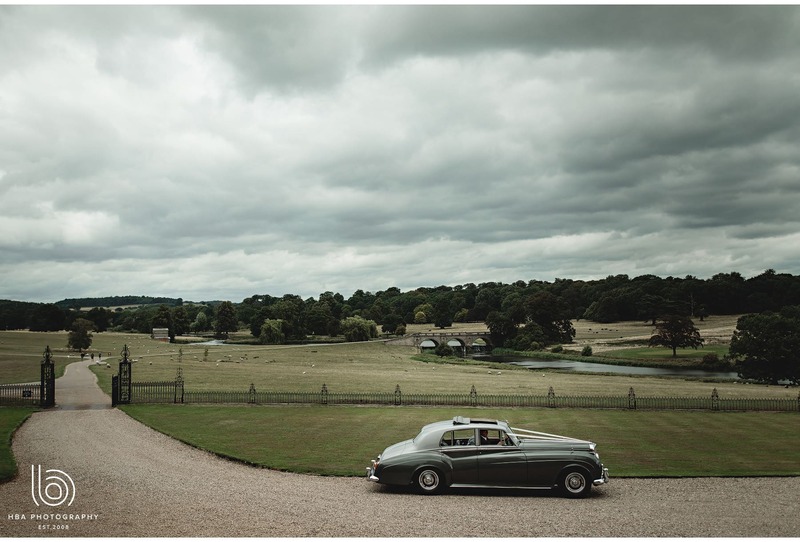 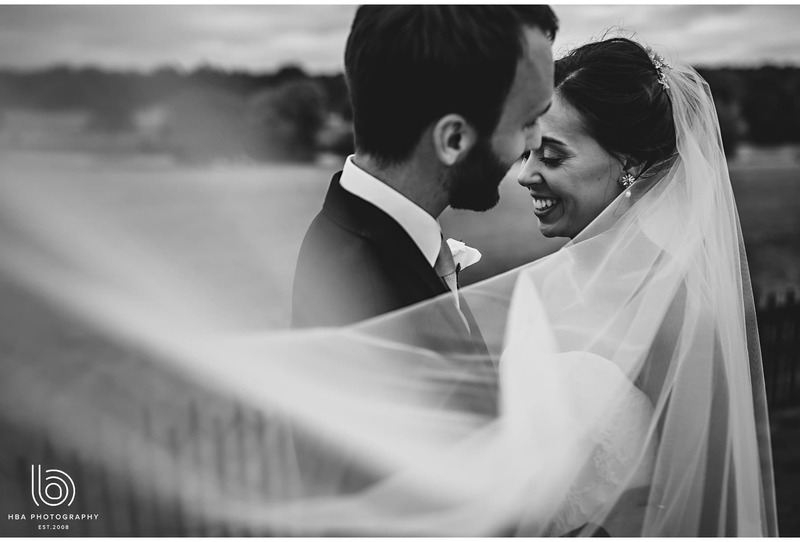 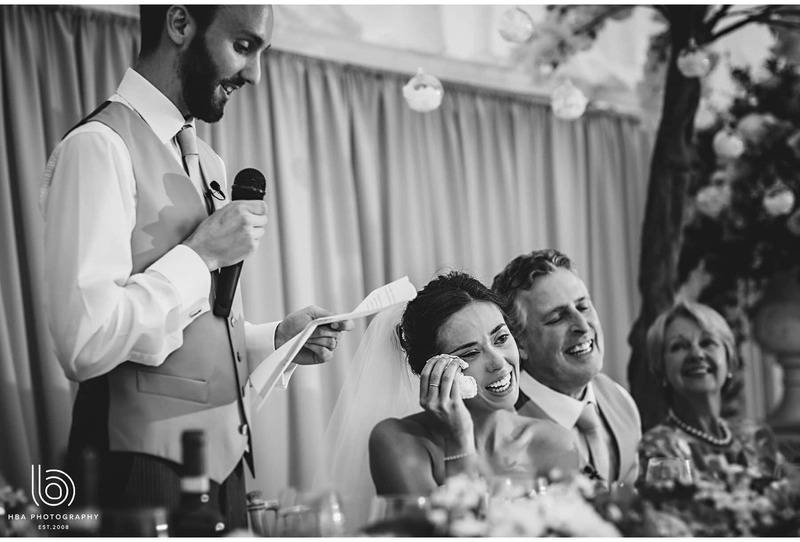 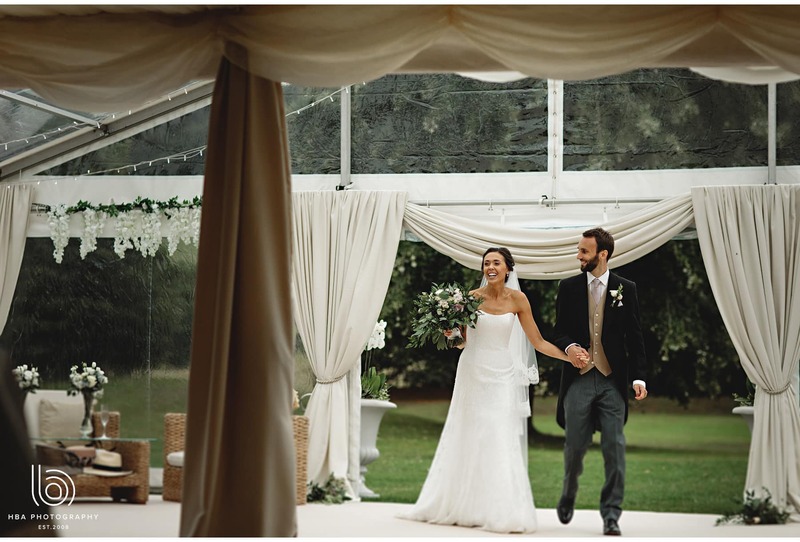 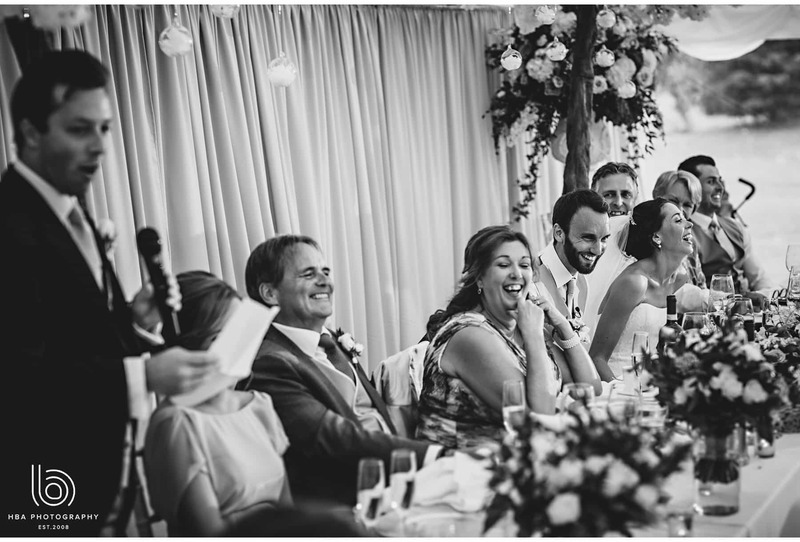 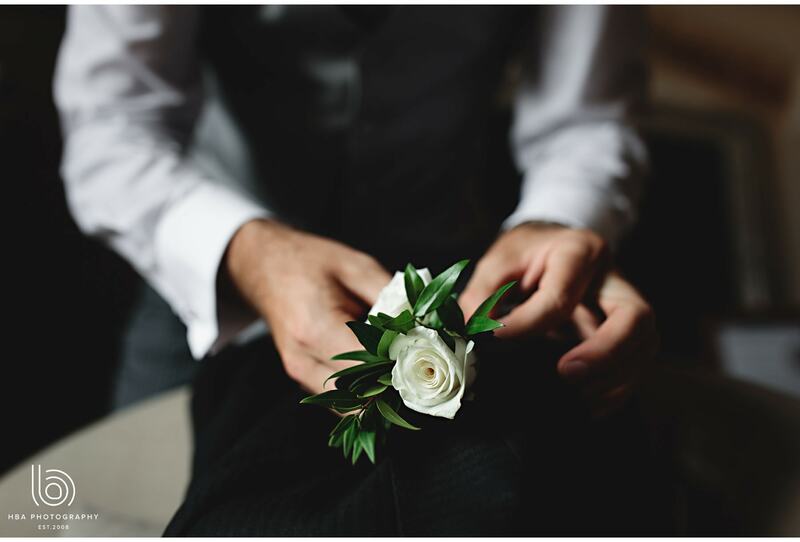 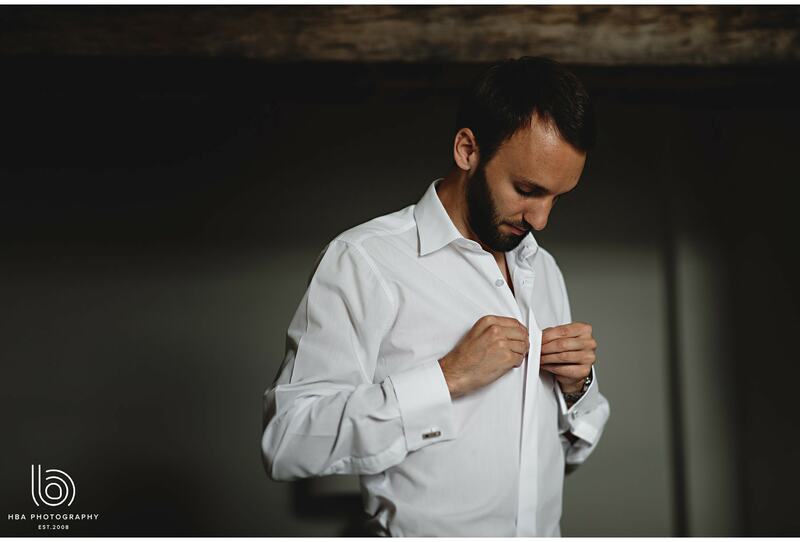 Ben loves travelling throughout the UK for weddings and abroad for destination weddings. 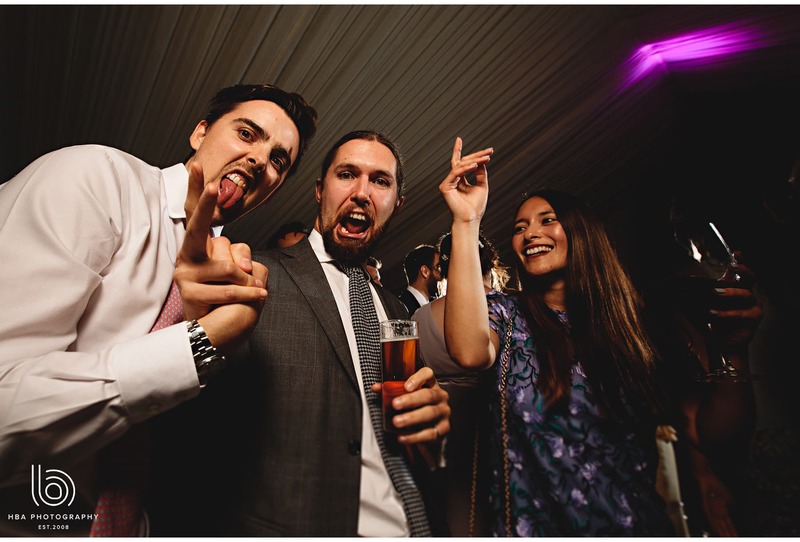 Meeting new people every day as we go is awesome! 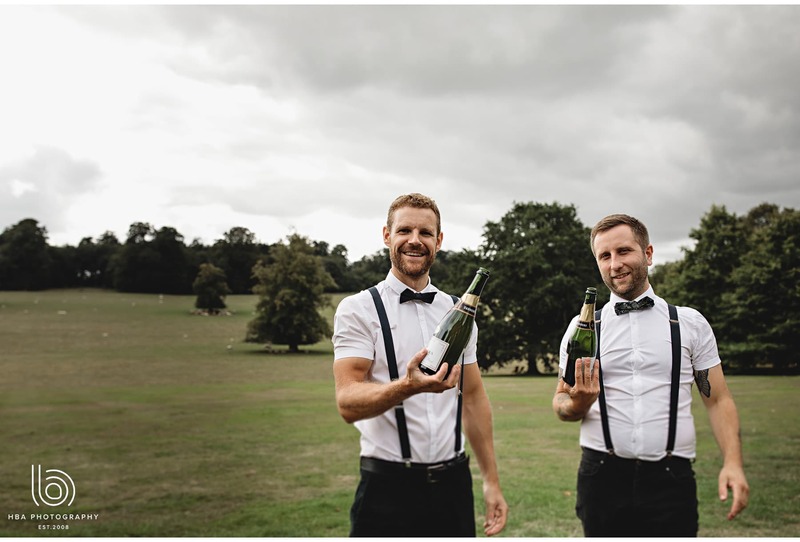 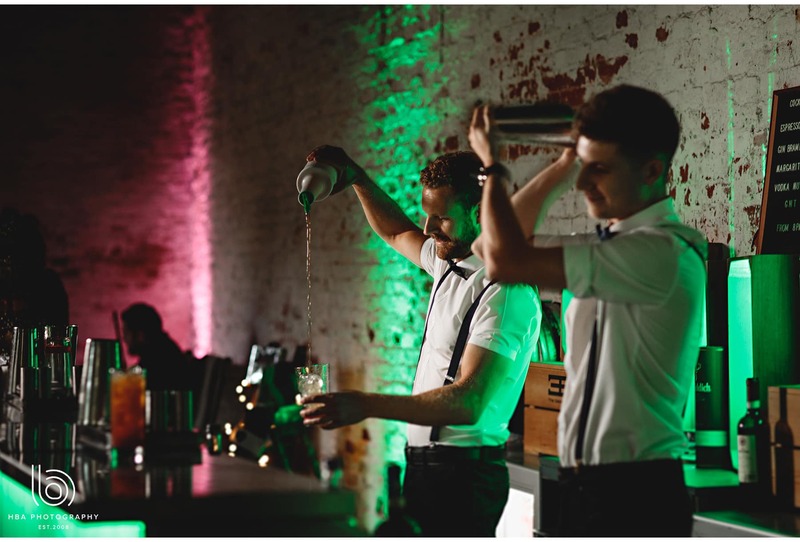 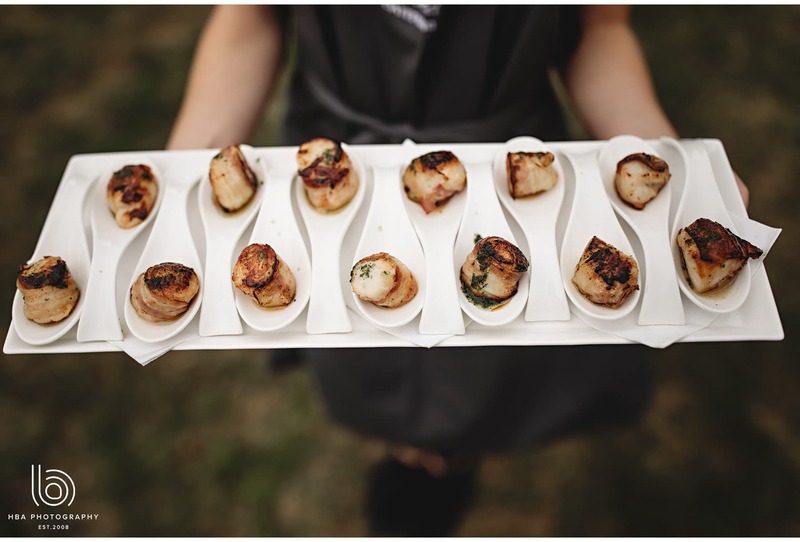 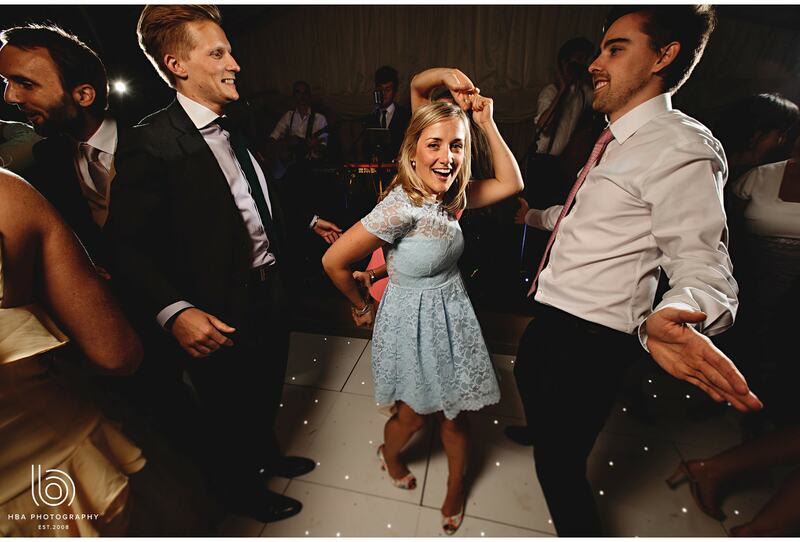 If you’ve seen us at a recent wedding and have a friend that’s getting married, we’d love you to recommend us! 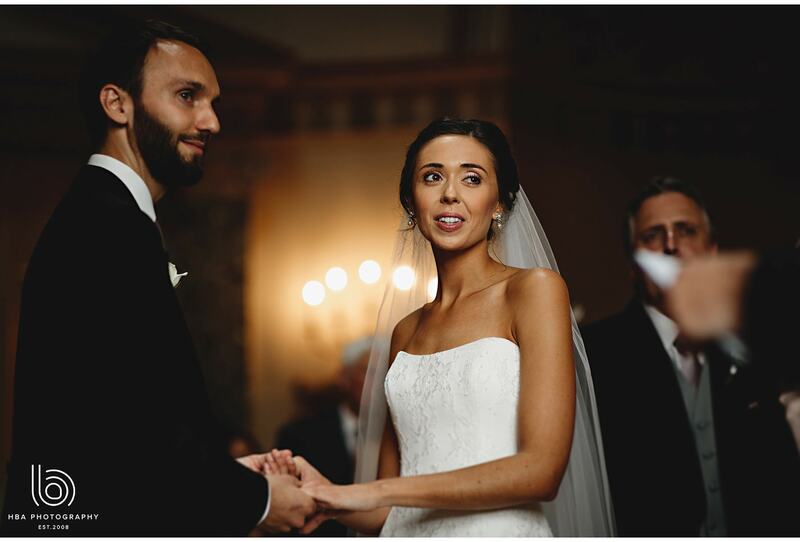 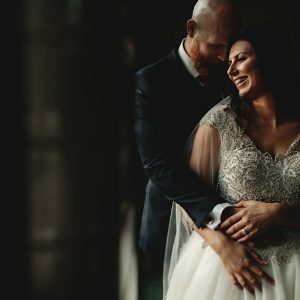 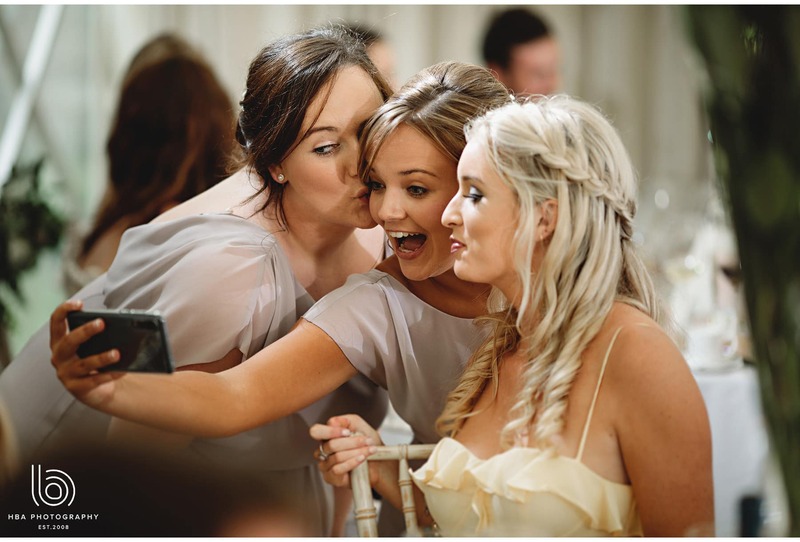 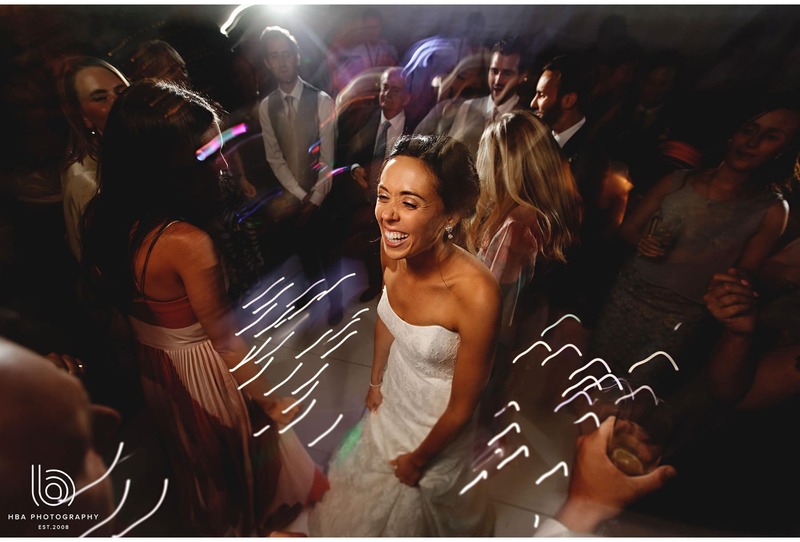 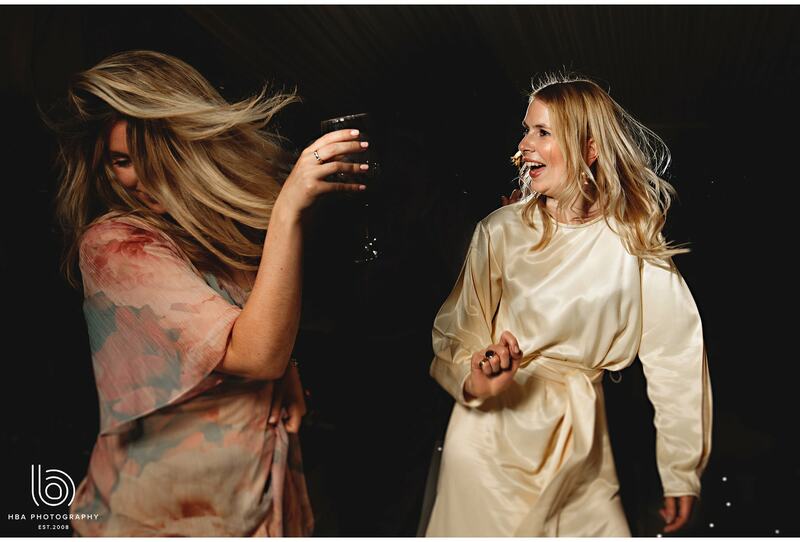 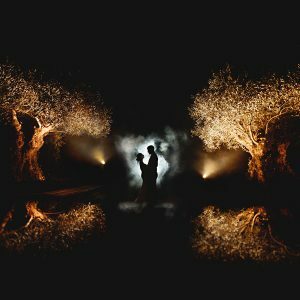 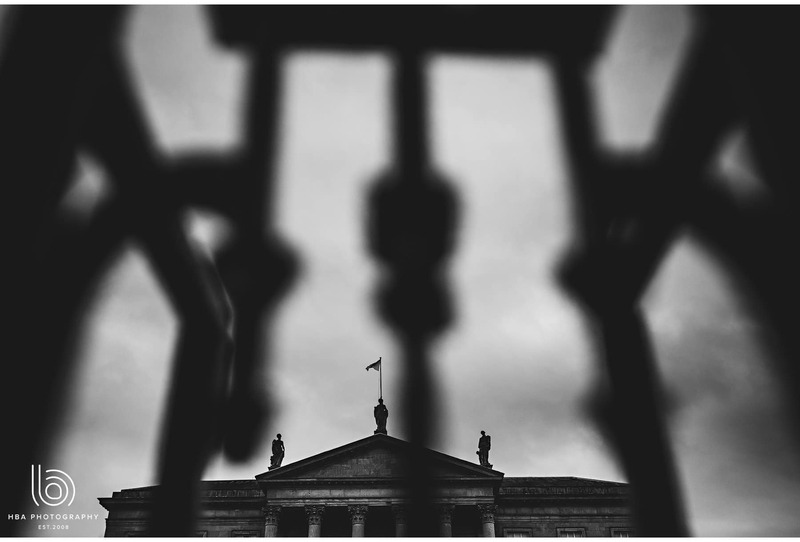 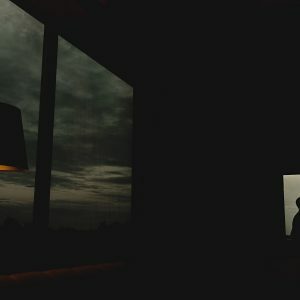 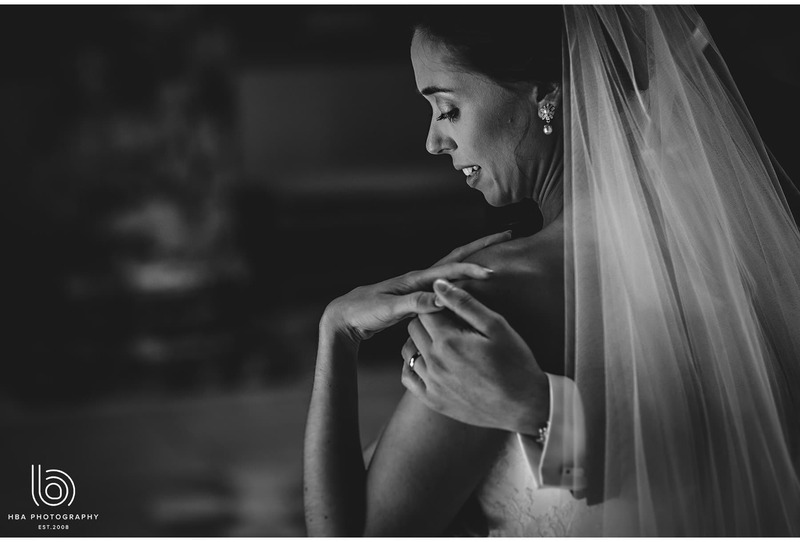 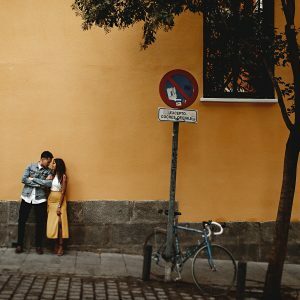 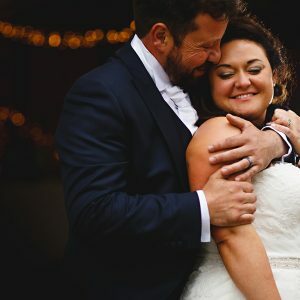 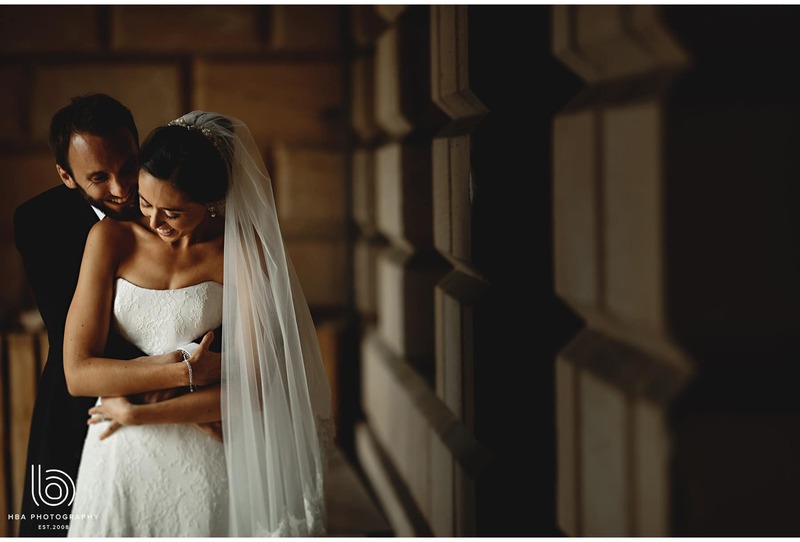 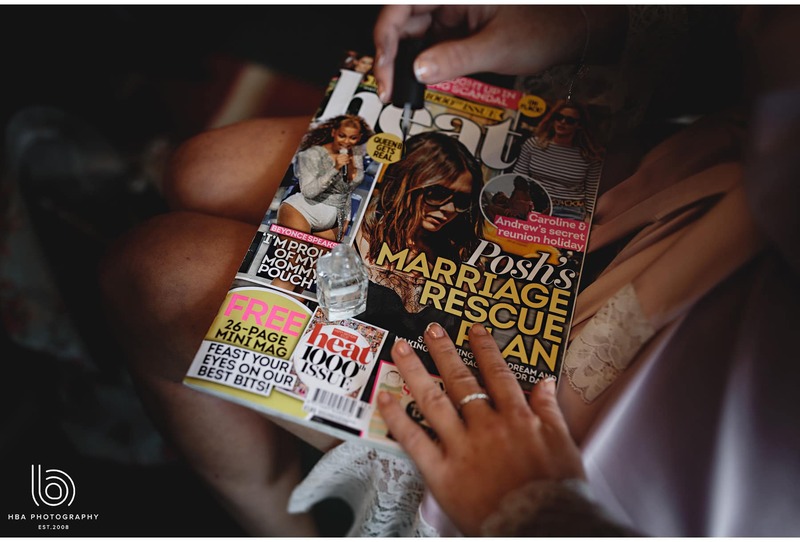 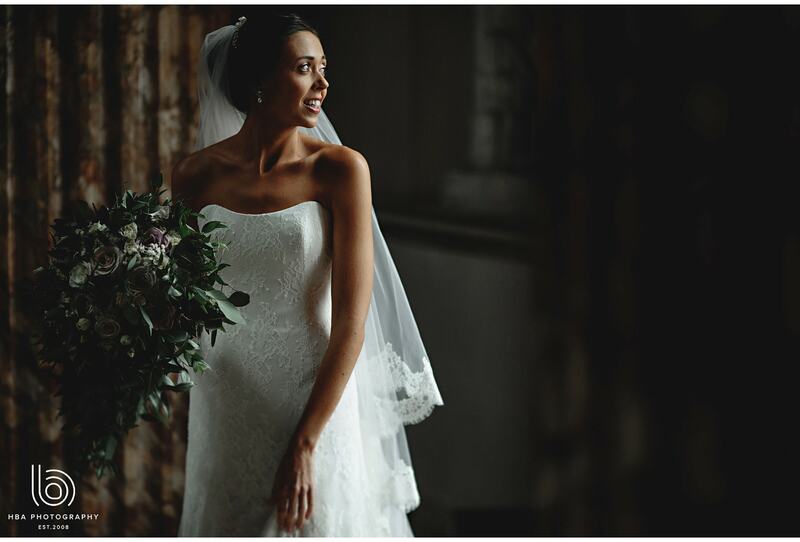 "They captured us and our family and friends in the most natural way and have left us with the most beautiful moments and memories from our wedding day! "